25 Ways to Get Free Instagram Followers: Be Famous & Thrifty! Instagram is becoming more crowded with each passing day. The saturated environment makes it progressively difficult to attract new followers. When crafting a strategy for Instagram followers, it is important to find just the right approach that will emphasize content quality and optimization efforts. This resource will look at 25 of the best ways to get free Instagram followers. Use relevant hashtags: Proper hashtags are the cornerstone of every successful Instagram post. The right hashtags have the power to launch a post on a viral journey. Hashtags can be used in posts, bios, comments, or Instagram Stories. In addition, users can also follow specific hashtags and have the content for that hashtag show up on their feed. That’s why it’s important to find the right balance between using strong, popular hashtags, and hashtags that directly relate to a particular niche. Optimizing captions: This will again have a lot to do with the type of impression desired. There are those that write long and meaningful captions, and those who write short and concise ones. Regardless of the style, Instagrammers need to make sure they optimize the captions by using fun emojis, strong keywords, calls to action, and hashtags. Never forget to use a hashtag or two when preparing the caption for a photo. Consistent schedule: Instagram is all about being consistent. Top Instagrammers know that they have to be consistent if they want to attract new followers and keep those that already follow them. Have an ongoing posting schedule. By adhering to a strict schedule, followers will know to expect new content and not hit the unfollow button. The risk of becoming irrelevant or forgotten is minimized as well. New accounts will benefit from this as they have to establish themselves. As part of this establishment, look at the free followers from SocialProof to get an account going. Use effective filters: Choosing the right filter can have an enormous effect on photos or videos. Experienced Instagrammers aim to create a perfectly balanced photograph, with a sprinkle of playful colors that spice up the entire post. This can definitely have a positive impression on followers. Collaborate with influencers: Instagram influencers have a powerful impact on the platform. Collaborations with influencers can impress current followers, and also allow users to present their content to a huge audience that can potentially skyrocket their following base. By collaborating with Instagrammers, users increase their exposure, grow their followers, and build trust in their account. Use CTAs: Every Instagrammer knows the importance of using a call to action. It is one of the most effective ways to encourage followers to take action on Instagram. Whether it is by liking a post, commenting on a post, or encouraging more people to follow, never ever under-utilize CTAs. Write a compelling bio: Writing a thorough and compelling bio allows potential followers to do a quick scan of who they might be following, and quickly decide whether or not they want to follow. The more the potential followers know, the bigger the chances of them clicking that follow button. It's also a good place for contact information and links to websites. Share behind-the-scenes content: Followers need to be entertained. Showing how the work is done behind-the-scenes is a great way to increase engagement and leave a great impression. The Instagram Story feature is the ideal place to display behind-the-scenes content. Run a contest: Running Instagram contests help users build their brand, generate engagement, and grow their follower base. Contests are highly effective at attracting followers as they display an explicit CTA that requires the users to take some sort of action in order to be eligible to win a prize. It is very important to work on diverse content that will keep followers entertained, and also appeal to the Instagram algorithm. Optimized content can help create a deeper connection between an account and its followers, ultimately encouraging new followers. Create branded hashtags: Creating unique, branded hashtags can help increase user engagement and motivate the audience to take action. The goal of many hashtag campaigns is to create awareness, and to drive user-generated content on social media. Look at some of the best hashtag campaigns, like Coca-Cola's #ShareaCoke, to have a better understanding of how to craft the perfect hashtag campaign. Post at the right time: The Instagram algorithm measures the level of engagement a post receives within the first hour of posting. The first hour is decisive for the future visibility of the post. The Instagram algorithm not only prioritizes posts with high engagement, but also reduces the exposure based on the engagement with followers. That is why it’s important to find the optimal time to post on Instagram. An Instagram likes service is a way to drive this engagement. Cross-promote: The idea of cross-promotion is to share content across multiple social networks as efficiently as possible. Cross-promotion is an essential step towards increasing the reach of the content and attracting potential Instagram followers. Keep in mind that cross-promotion requires users to tailor their social messages for each channel. Research trending topics on Explore: Trending topics on Instagram are the ones that receive the most engagement from neutral users. More than 100 million people visit the Explore tab on a daily basis. Trending topics, hashtags, and people on Instagram that are largely followed by general crowds are great opportunities for those looking to grow their audience. Create enticing Instagram Stories: Instagram Stories have become one of the hottest trends in social media. Stories provide a more authentic experience because the footage is mostly raw or unscripted, unlike most content which is often edited. 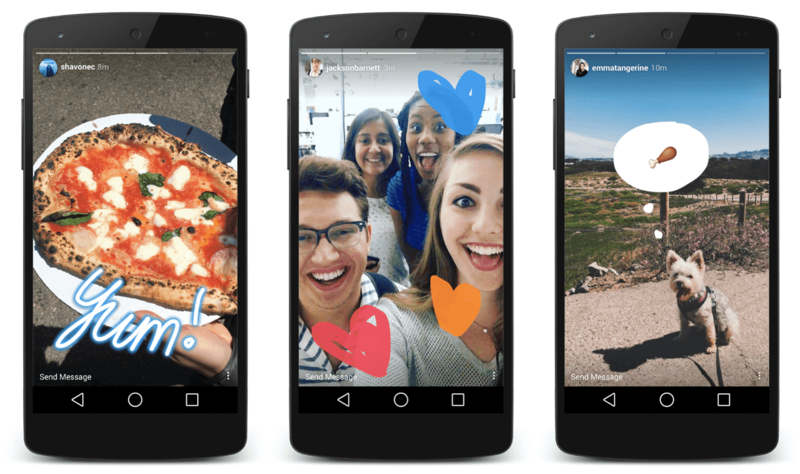 Instagram Stories offer a variety of filters and stickers which can spice up the content. Instagram Stories are also shown on the explore tab, based on personal interests, tags, locations, and hashtags. Engage with relevant communities: Finding and interacting with relevant communities is a great way to attract more followers. Instagrammers usually follow successful Influencers in their niche. Influencers are communities unto themselves, and by joining communities by liking, tagging, and commenting, Instagrammers connect with people with similar interests, thus growing their followers. Use the live video feature: Broadcasting a live video is one of the best ways to engage with followers on Instagram in real-time. An Instagram live video only appears while it’s being broadcast. Instagram sends a notification to everyone who follows an account that is going live when the video starts, and they can see it as a priority in their Stories feed. Instagram also features live videos from public profiles in the Explore section, which allows boosts visibility beyond their core followers. Interact with followers: Interaction between account managers and followers is essential for engagement. The Instagram algorithm takes into account the level of engagement among Instagram accounts and ranks them accordingly. Those posts that cause the biggest engagement often receive the most visibility and more exposure than those who are less engaging. That is why it’s essential to interact with followers by liking, commenting, and tagging content. Ask followers to tag their friends: Asking direct questions has proven to be a very effective CTA method. Asking followers to tag their friends can expose an Instagram account to a large network of people. It’s a simple, yet very effective way to get free Instagram followers. Share images people can relate to: In order to attract followers on Instagram, it is essential to be aware of the demographics and the core target audience. When posting on Instagram, make sure that the posts are easily relatable and speak to a larger audience. Experiment with different content and measure the response from the audience. In order to gain a more thorough insight, Instagrammers usually turn to analytics tools. 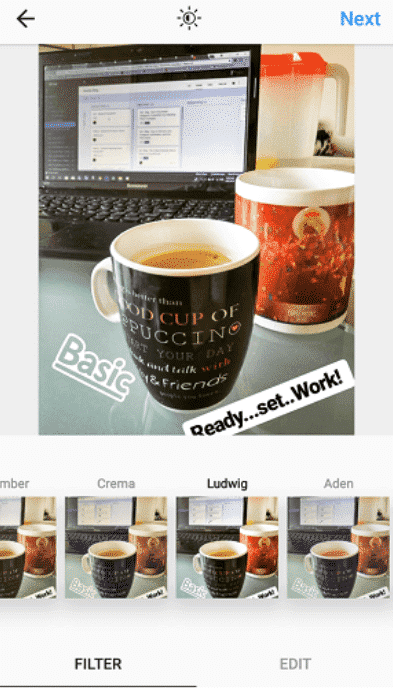 These tools provide information that is very useful when crafting an Instagram content strategy. Using trending/popular hashtags: Hashtags have the power to exponentially increase the exposure of Instagram content. 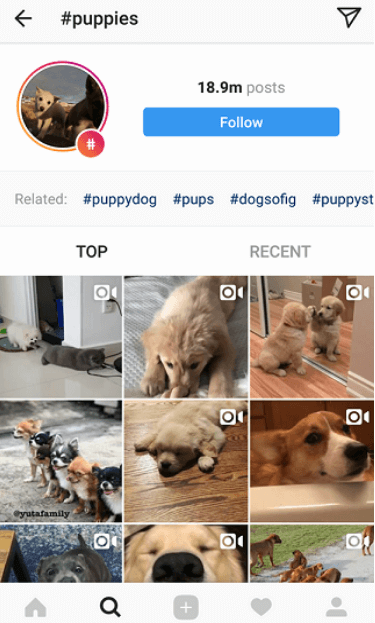 With Instagram allowing users to follow specific hashtags and have the content for those hashtags appear on their feed, it would be crazy to not try to tap into some of those popular hashtags. Another way to properly utilize hashtags is to brainstorm and think of a unique hashtag that can potentially improve recognition and awareness, and ignite user-generated content. Tag location: People also follow places on Instagram. By adding a location to the post or Instagram story, users can potentially increase the exposure of their content and possibly rank high on the explore tab. In addition, users with a physical business should tag their location and encourage their followers to do the same. Users can click on the location and see all the content posted to that location. Learn from Instagram analytics: By switching their accounts to business, Instagram users can have access to vital Instagram analytics. It shows information such as impression, profile visits, post save rates and more. Accounts that don't want to switch to business can use a social media analytics app that can provide the same information. Use different Instagram tools: There are tons of Instagram optimization tools. Apps like VSCO, Canva, and Iconosqaure give Instagrammers the ability cultivate a strong Instagram following and optimize their content. With the help of such tools, users can improve their marketing strategies, analyze their audience, and create engaging posts. Create a clear Instagram strategy: A clear Instagram strategy is necessary for users to coordinate their time and effort. Not knowing the goals, long-term objectives, target audience, or KPIs can lead to unsatisfactory results. Every successful Instagrammer knows how to measure their success and concentrate all of their time and effort in a productive manner. Share user-generated content: User-generated content (UGC) has become particularly prevalent on Instagram, where accounts launch UGC campaigns and repost and regram content from various users. UGC consists of any form of content that is created by users under the direction of another account. Brands usually start a UGC campaign by promoting a unique hashtag that people use when creating user-generated content. Encouraging user-generated content is one of the best ways to reach more people and gain followers on Instagrams. Incorporating a UGC strategy helps users establish their presence on Instagram and build trust with their followers, all while getting a few extra @mentions. Succeeding on Instagram is tough, but not impossible. Instagrammers should focus their time and effort on creating quality content, forging meaningful collaborations with important people in their area of interest, and engaging with their followers. If you're still struggling after everything above, read our reviews of the best Instagram follower providers and choose to boost your account that way!